Taylor Swift covers 'InStyle' June 2011 looking absolutely gorgeous in a Victoria Beckham dress. Inside the magazine, the 21-year-old singer talks about her biggest fears and what scares her about success, love, music and what does it mean to her, and future plans. Read some highlights from Taylor's interview. 'InStyle' surprised its readers with a beautiful cover for the magazine’s June 2011 issue, featuring the adorable country-pop phenom Taylor Swift. Inside, in the interview with the magazine, the 21-year-old singer talks about love and happiness, fears, unfulfillment, but also about her music, success and future plans. "I have this really high priority on happiness and finding something to be happy about," Taylor told 'InStyle' about her expectations. As a celebrity you definitely need to have thick skin. Still, Taylor admits she has a more sensitive personality. "In this business you have to develop a thick skin, but I’m always going to feel everything. It’s my nature," she says. Taylor's dating history includes some famous names, such as Joe Jonas, Taylor Lautner, John Mayer, and Jake Gyllenhaal. The young singer admits that in love feelings are more important than career. "There are no rules when it comes to love. I just try to let love surprise me because you never know who you’re going to fall in love with. You never know who’s going to come into your life – and for me, when I picture the person I want to end up with, I don’t think about what their career is, or what they look like. I picture the feeling I get when I’m with them," Taylor says. 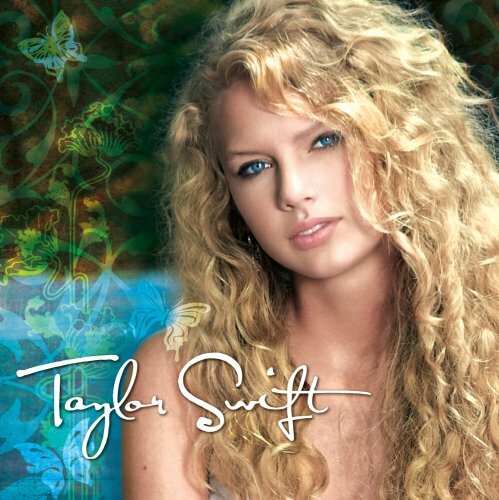 Taylor released her self-titled debut album on October 24, 2006. On what music means to her, the singer told in the interview with 'InStyle' that, "Music is my shining light, my favorite thing in the world. To get me to stop doing it for one second would be difficult!" As for what scares her the most, Taylor confesses that unhappiness and unfulfillment are her biggest two fears. "I’m most scared by the thought of prolonged, perpetual unhappiness, and of unfulfillment. I have this really high priority on happiness and finding something to be happy about. It’s not that I live in a delusional fantasy where I’m just smiling every day. I definitely feel pain, but there is also this need to be grateful for what I’ve been given," she told 'InStyle'. What about success? Taylor admits she has seen so many people experiencing success in a rather disastrous way. "I’ve seen people who have become jaded by success. That scares me. I don’t want to go down that path," she says.